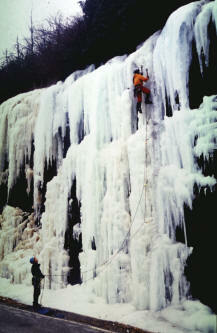 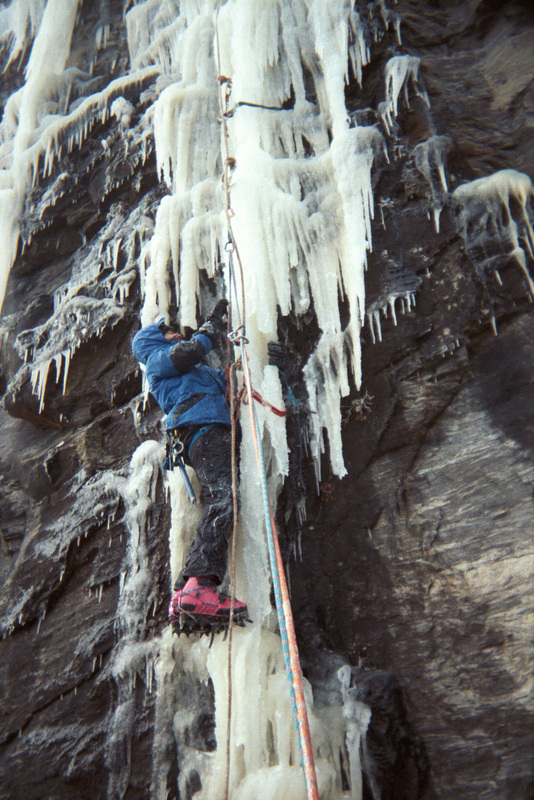 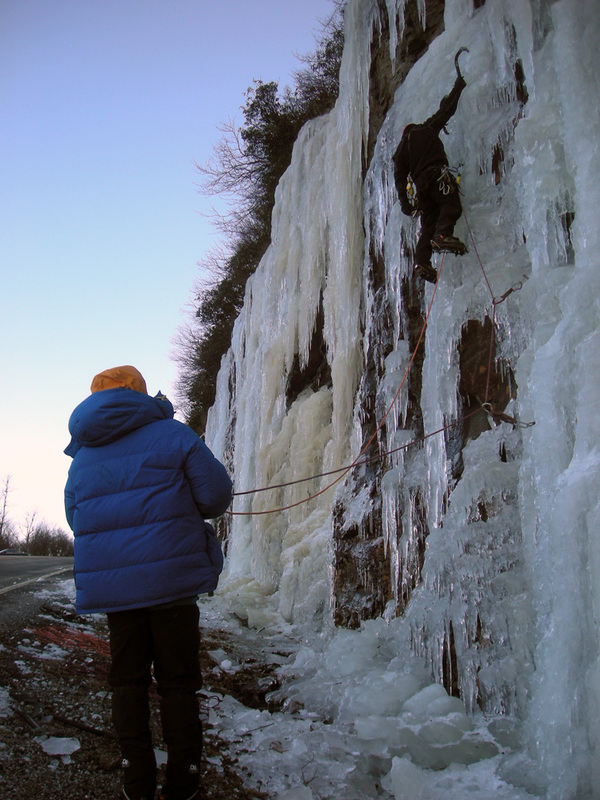 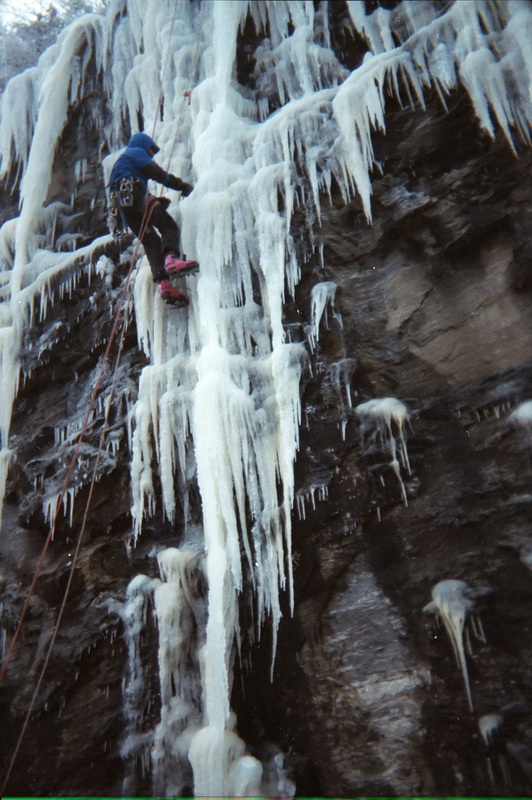 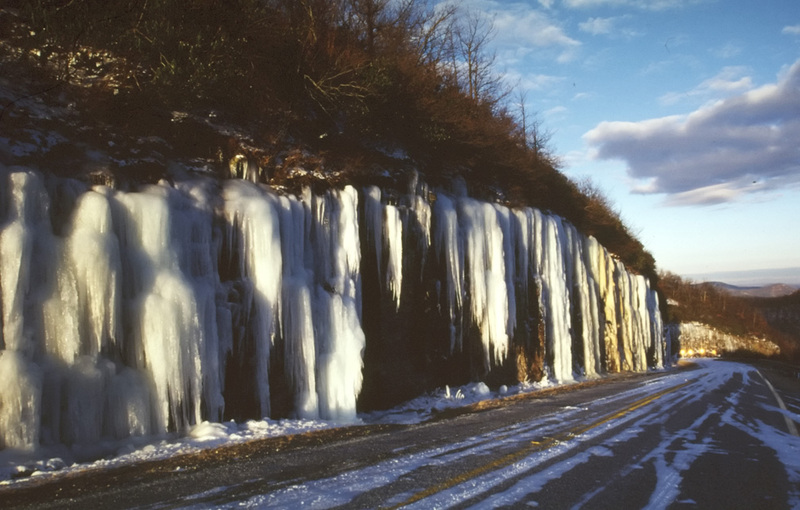 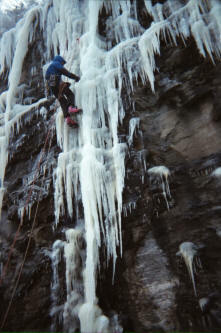 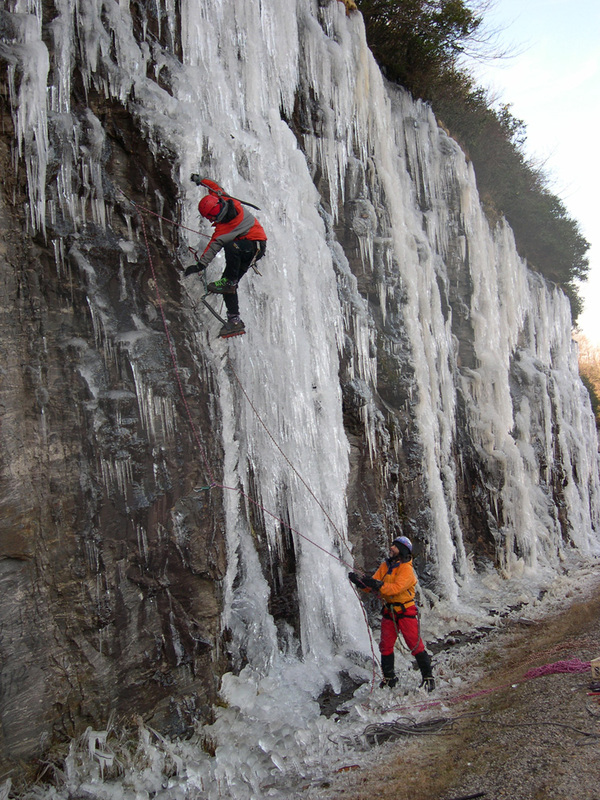 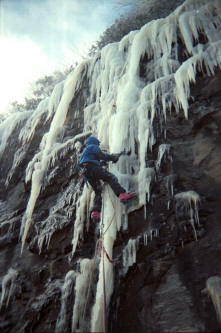 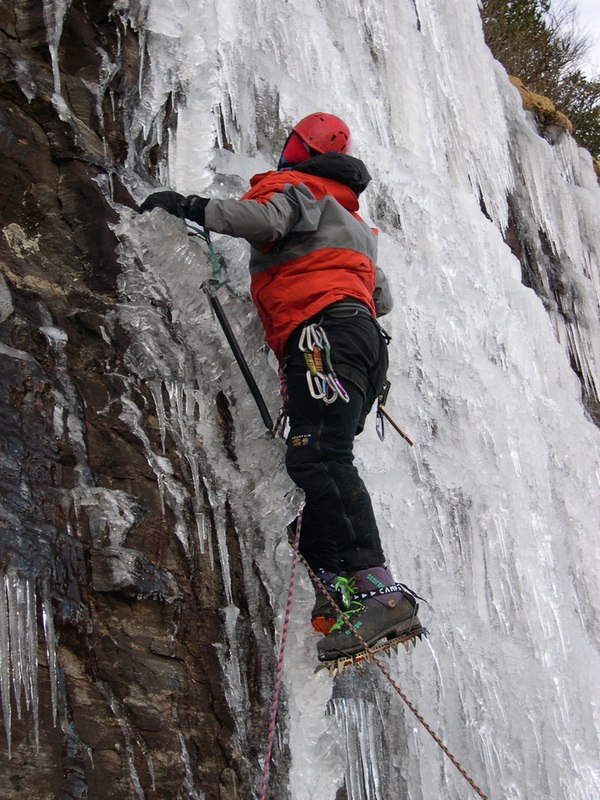 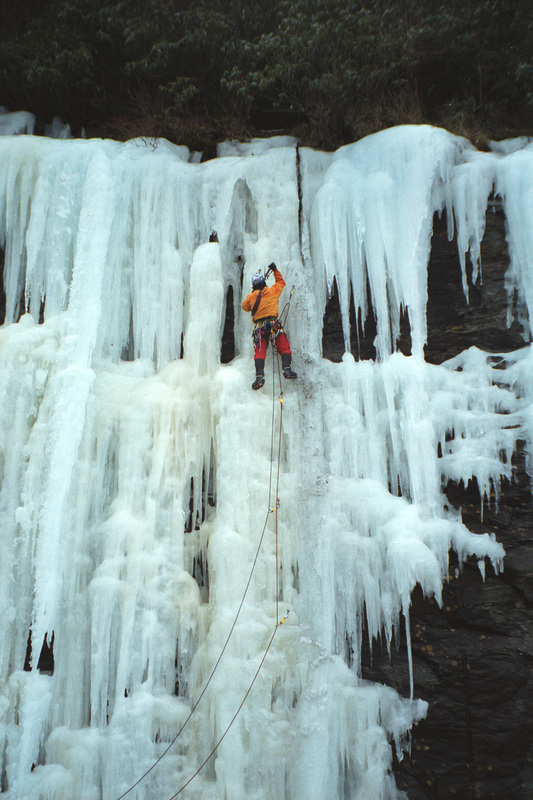 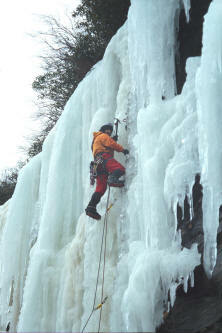 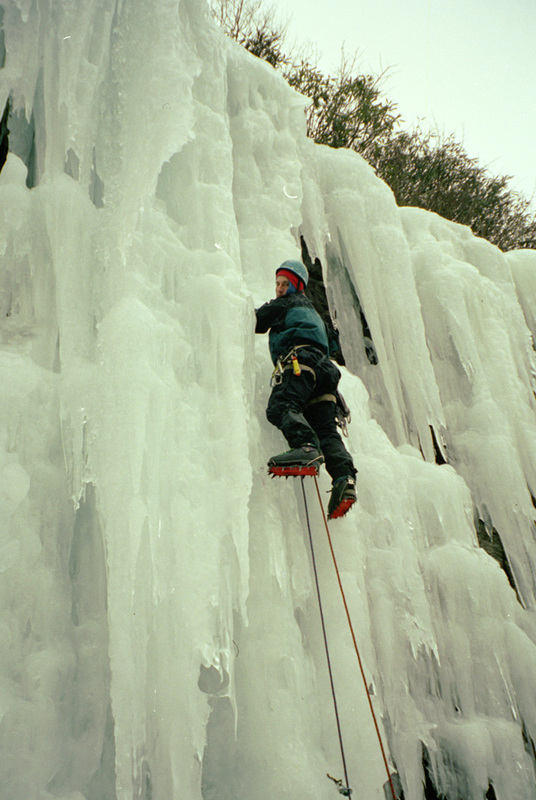 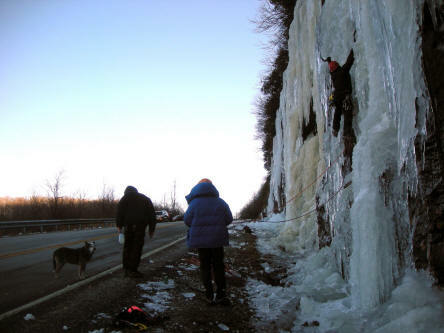 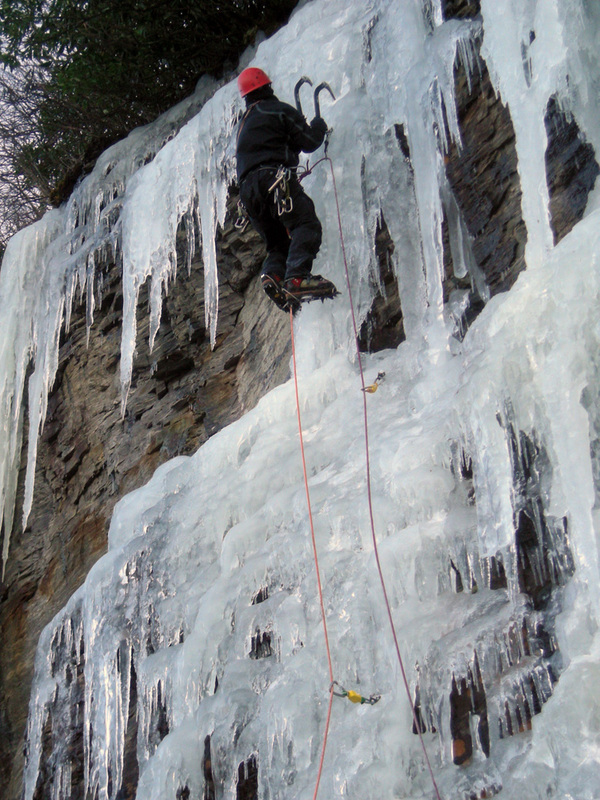 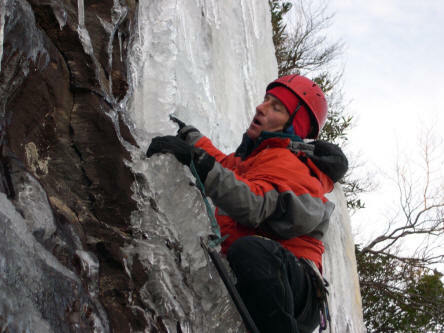 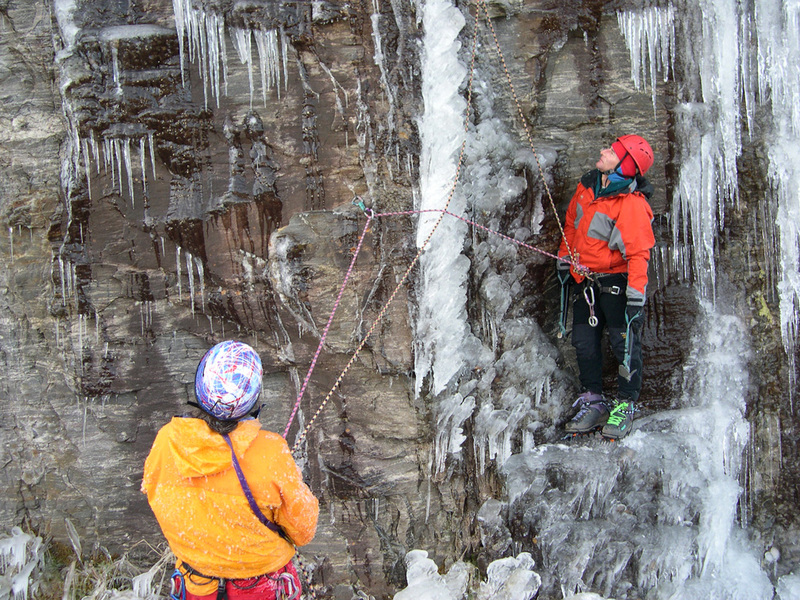 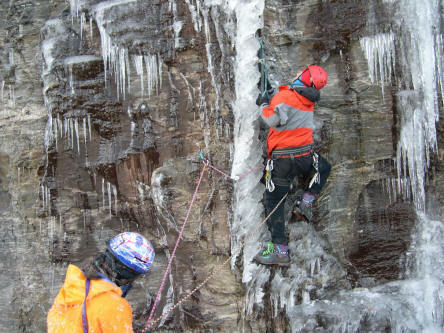 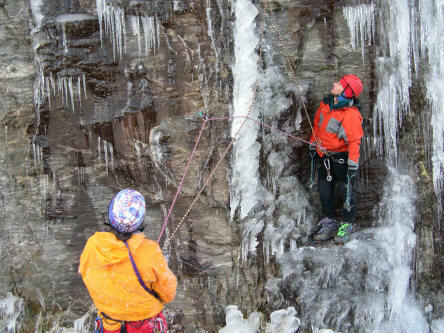 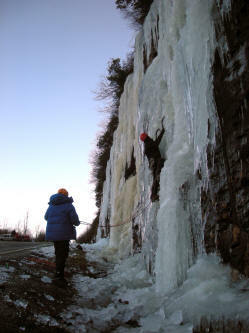 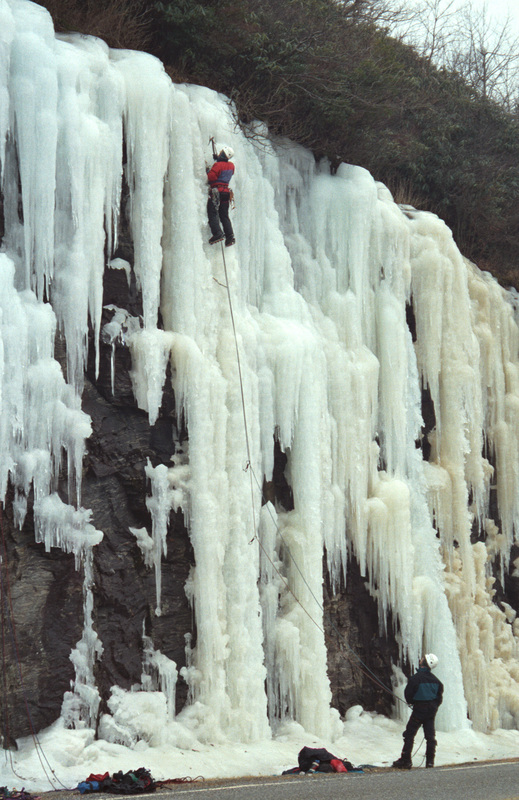 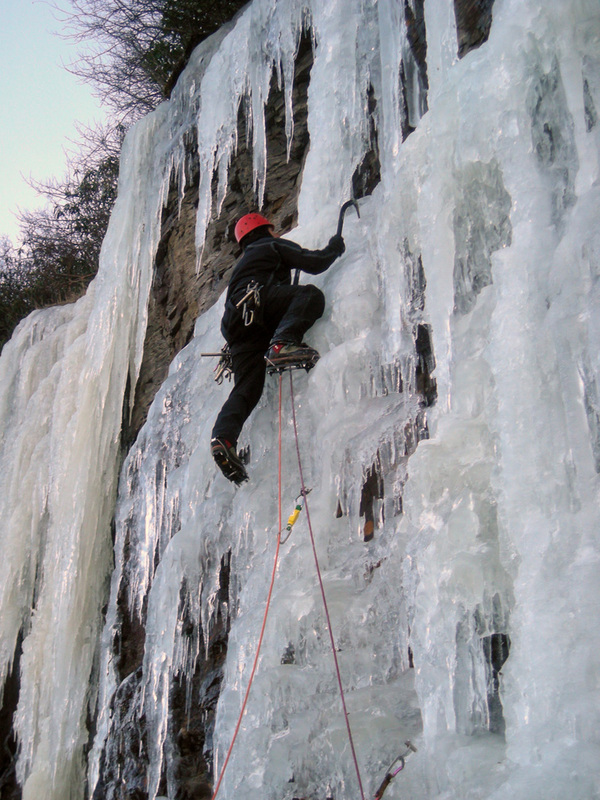 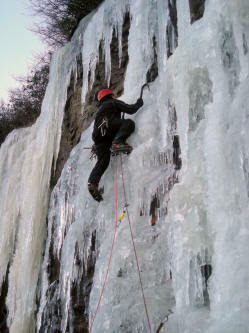 Hogpen Gap, located on the Richard B. Russell Scenic Highway, is the most consistent ice climbing area in the South. Located only 90 minutes from downtown Atlanta makes this seemingly impossible but dems da facts. 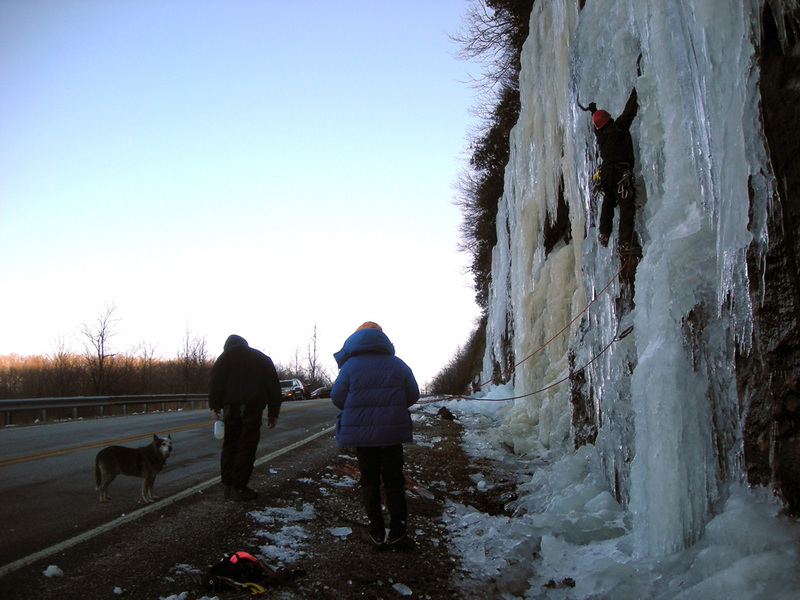 Climbable ice has formed here as early as Oct. 10 and on several years we have managed to lead climb on or before Halloween Night. By Thanksgiving the form, fall, form cycle has usually become normal. In the olden days... or is that not to distant past, my mind isn't what it used to be... Oh well, anyway: When the ice was super thin at Hogpen but we had the need to lead we would rap down and fix a rope combined with a few screws and tied slings to secure the rig. The rope would have several loops to clip and we turned our thin unleadable ice into a poor mans sport route. 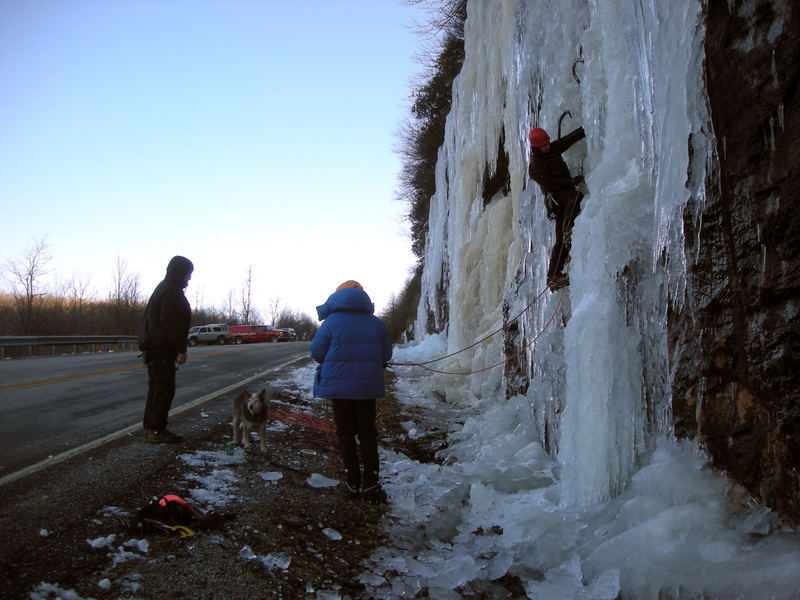 It was complicated and lots of work to set up, climb on and break down but being the kids that rode the short bus to school it seemed like fun. 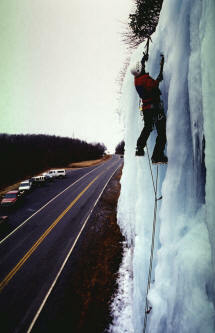 So now come the modern days... Or is that lazy daze... 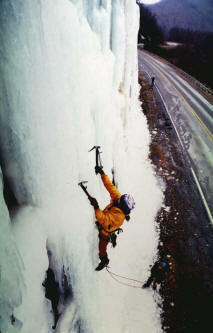 This early onset Alzheimer's is starting to cause some difficulty but I digress. 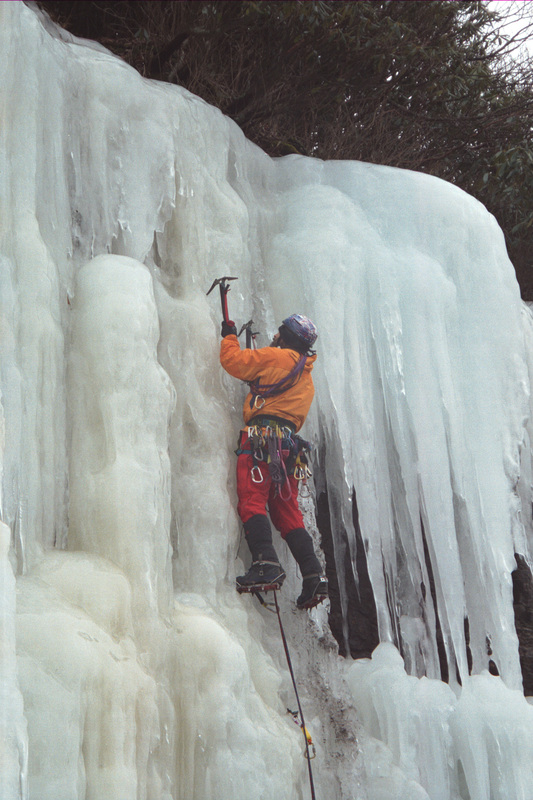 Anyway, we just got lazy. 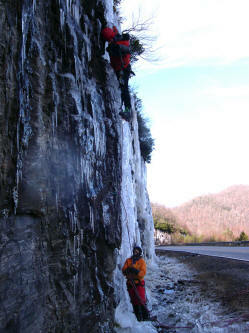 So Shannon Stegg and myself started popping in bolts at strategic locations. These bolts opened up several rotes to leading during super thin conditions. 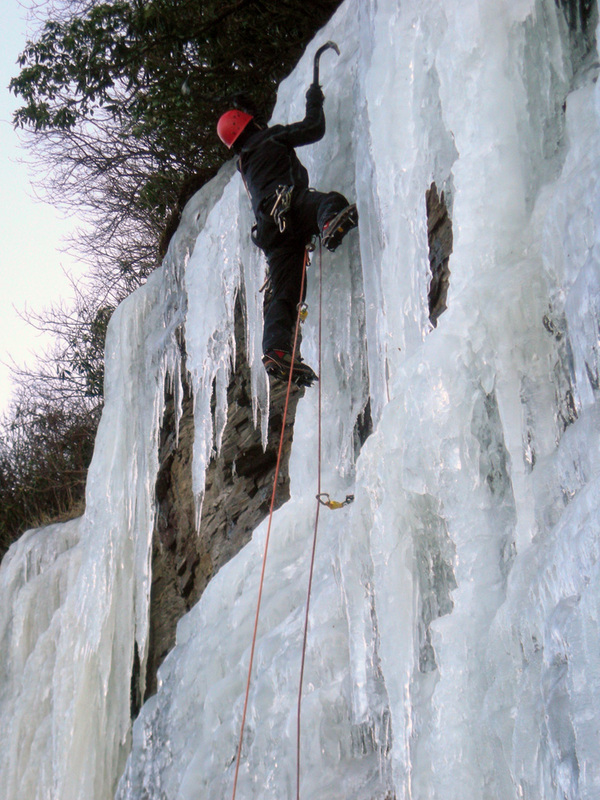 By the time the ice gets thick enough to hide the bolts we can generally twist screws. 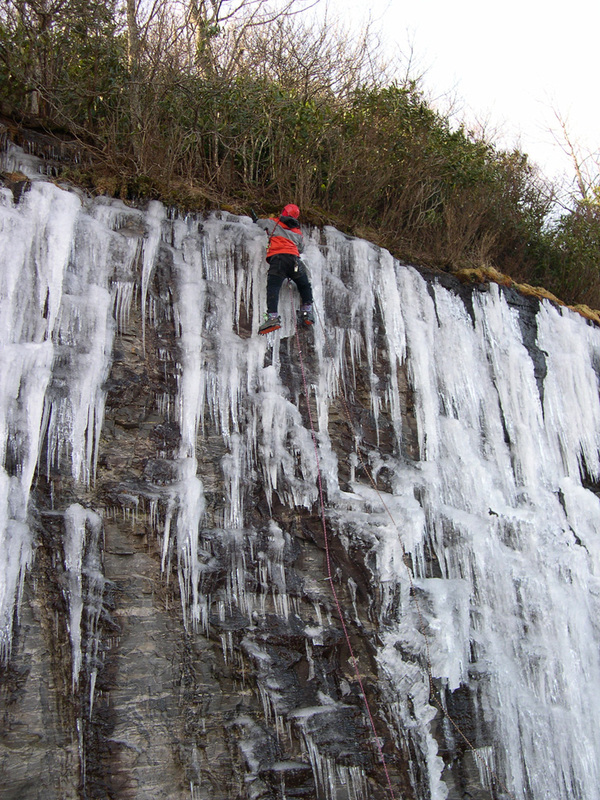 After experimenting with leashless tools for a few seasons, I have finally made the switch for single pitch routes. 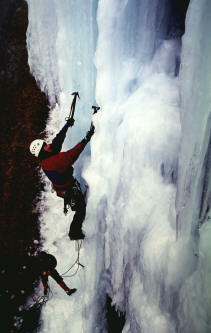 Now I seem to be dragging some of the other old men into the new fad. 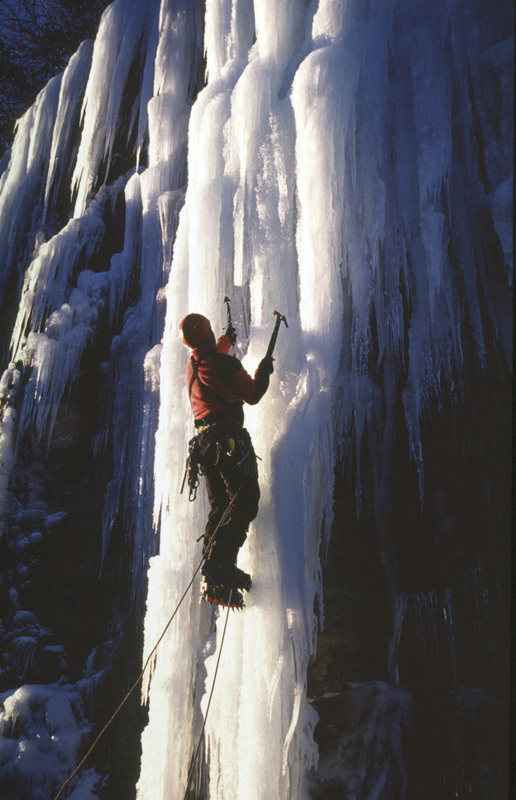 It seems like everyone I lend my Nomics to seem so impressed they start calling their banker to finance a set of these tools that cost as much as a decent car. 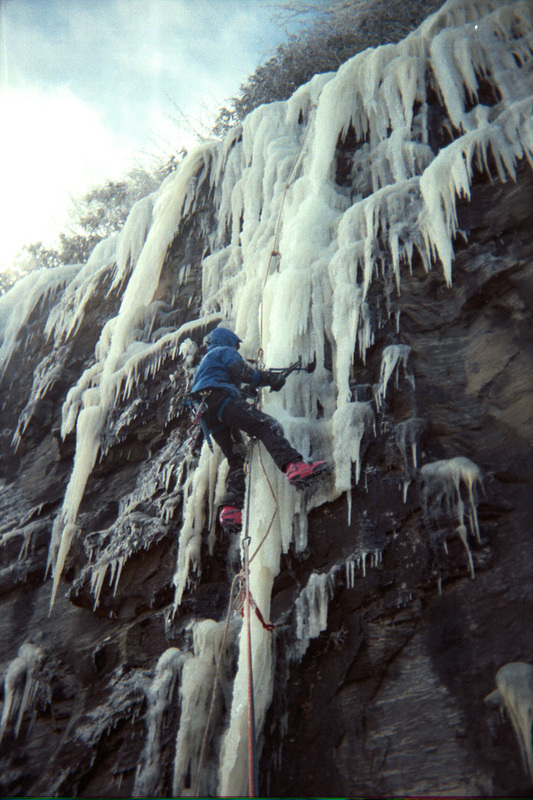 This next sequence is Shannon sending his first route on my Nomics. 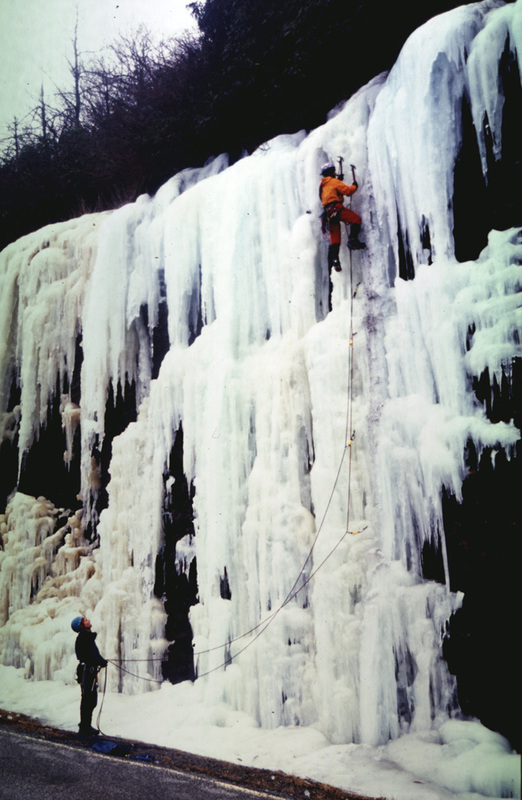 He was very happy with the tools.